On behalf of Mannering Park Public School community, I would like to thank you for your contribution and support of our Fete. The day was a big success and without your support this would not have been possible. The funds raised from this event are hopefully going to be allocated to much needed technology that will provide many opportunities for the students at our school. I would like to express my appreciation for the enthusiastic, professional and personable manner in which you handled the sale of my properties. It was always a delight to work with you and your team and we felt that you were truly interested in achieving a good outcome for your clients. You were dedicated to finding buyers for our properties and matching up buyers with a property that met their needs and objectives. Over a number of years I have had quite a deal of experience dealing with real estate agents and it was clear to me that you are exceptional in your field. You were innovative, persistent (yes - a bulldog-like trait) and you communicated both regularly as well as whenever any event occurred. It is no surprise that, whereas other agents failed to find buyers for our properties, you were successful - and this success came quickly. As someone who has been in sales for many years I know the key to continued success is creating deals where each party is happy. This is your forte. I know I was delighted with the deals and the purchasers have told me they were as well. Without any reservation I can recommend you to any potential vendor or purchaser. To Cathy and the "A" team - many thanks for your outstanding efforts selling our Summerland Point abode. A pleasant and very professional team! I would be remiss of us to move to our new home in Queensland without formally recognizing your sterling efforts in ensuring we were able to realise our hopes to "head North". As you are aware, we were reluctant after some 15 pleasant years in Summerland Point, but needed to make the move for family reasons. You were one of four agents we interviewed prior to putting our home at 28 Gordon Avenue on the market and while all were no doubt eminently qualified and presented well, we were drawn to your excellent local knowledge, record of achievements in the Summerland Point market sales proposal, empathy four our situation and professional demeanour. There were some difficult moments given the timing of our sales launch - Just prior to Christmas - and with some poor weather complicating the photo/video shoot, but you were committed to the cause and never related in your determination to get us a fair sales result. You were not deterred by several setbacks and remained focused on the primary objective, going "the extra metre" to get a resolution. We have been involved in quite a few real estate sales and have never encountered a more professional or committed agent. We are extremely grateful for the efforts of you - and your excellent and pleasant staff - in securing the sale of our property for a fair price in a difficult market. We greatly appreciate your efforts, wish you well in your future endeavors, and have no hesitation in recommending you to any vendor - or purchaser - wishing to do business with a professional and committed agent who exhibits the highest levels of integrity. Who's your favourite real estate agent? Thank you for achieving a great result and we really appreciate the huge effort you put in for us. 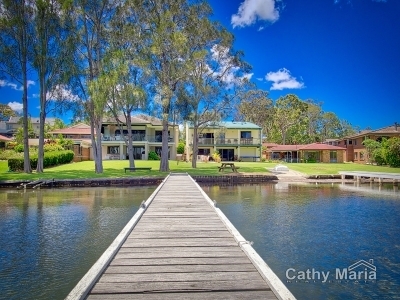 I engaged Cathy Maria as the agent for the sale of my lakeside property in Summerland Point. Cathy was fantastic. I am a licensed conveyancer and deal with real estate agents on a daily basis. Cathy is a standout. I received honest feedback after every inspection. Cathy mad me feel that she loved my property as much as i did. She went beyond my expectations with a wonderful video of my home. I found Cathy to be honest and reliable. Cathy negotiated a price for my property that I was more than happy with. I understand the purchasers were more than happy with Cathy's helpful and friendly way of doing business. I would highly recommend Cathy Maria Real Estate to anyone thinking of selling as their agent. I cannot speak more highly of Cathy. Thanks again Cathy. We would just like to thank you both for everything you did in selling mum's house at 113 Vales Road, Mannering Park for us. We were impressed with your style and expertise and your knowledge of the area plus the effort you made, helped secure a very accepted outcome for us with which we all very pleased and much appreciated. 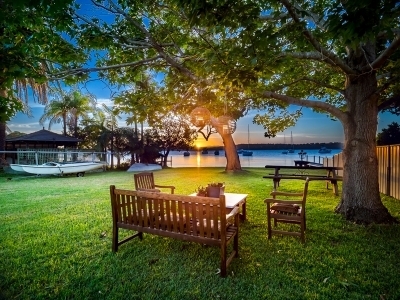 Back in June of this year my wife and I were faced with the daunting task of selling our two properties situated in the lakeside suburb of Summerland Point. After meeting with a number of local agents within the area, we signed a sales agreement with Cathy Maria Real Estate. At first meeting with Cathy,we were instantly made to feel at ease with her friendly down to earth approach. When faced with a complex situation with the sale of our first property, Cathy showed that nothing was to hard for her to resolve and went the extra yard to complete the sale, with minimum stress to both parties. We were very pleased with this sale as the house was sold in only three weeks at a very satisfactory price. 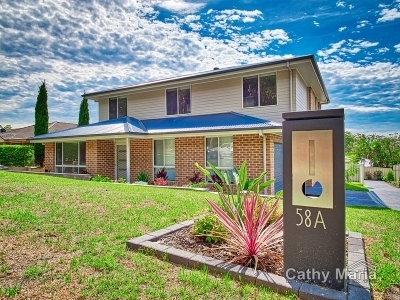 Property exceeding price expectations and again sold within three weeks. for a real estate agent who you know will be honest, trustworthy and get the results. Thank you Cathy and team. Thank you for the sale of our home. After starting with a well known real estate we found them very disappointing. It was very refreshing to find an agent who filled our needs. We found Cathy Maria to be outstanding in all aspects of her job and brought about the sale of our home. We look forward to doing business with her in the future and would gladly recommend Cathy to others. Many thanks for selling our house. You tried so hard and suggested an Auction and like you said it would work and you were ‘spot on’. I would recommend an Auction as it brings in more interest than an ordinary “For Sale” signage. Thanks and we would highly recommend you to anyone selling their home. Cathy has sold two houses for us. We like her “Can do attitude” and her knowhow and love for the local area. Cathy is tenacious and hard working but without appearing too pushy. Cathy is a good negotiator in the sales process and always replied promptly to our phone calls and enquiries.